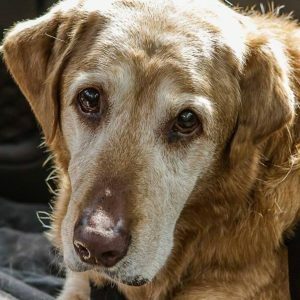 My name is Jethro and I am a 10 year old male golden/lab mix. I am very lucky because I get to stay with As Good as Gold and my foster mom takes great care of me. I have severe arthritis and can barely walk, but I definitely am a happy boy. My tail never stops wagging and I love to eat! I get to do water treadmill and all kinds of good stuff to help with my arthritis pain. I also have something called Laryngeal Paralysis. That’s when it’s really hard to breathe if I move around too much. As Good as Gold takes great care of dogs like me that wouldn’t have a chance. I get all of the medical care that I need to be happy and have a good quality of life. If you would like to help me, or other dogs like me, please donate now by clicking HERE.